‘I’m a closeted hippie really’ Matt Brown, one of the men behind Thomas Clipper tells me, ‘well not that well closeted actually’. Over the course of the next few hours I am given a re-education in the history of shaving and we explore the principles of making, from the evils of planned obsolescence to the joys of working locally, we talk modern business principles from co-working to social media strategy. Im suppose on reflection we are closeted hippies here at The Holborn- as long as the closet is made of the finest Scandinavian mahogany. The marathon nature of the interview can not alone be attributed to enthusiastically found common ground but also to our lethargic nature brought about by well earned hangovers courtesy of our respective companies socials the evening before. 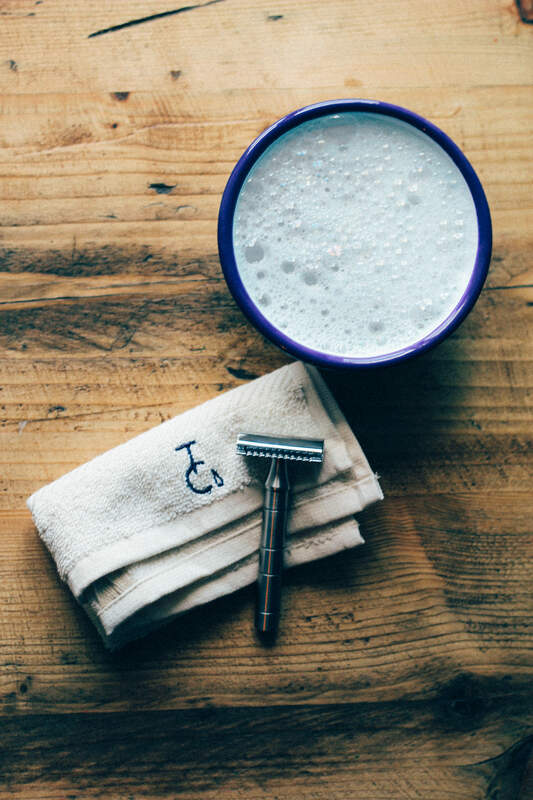 Thomas Clipper is a brand who believe in making a product that lasts, a beautiful razor that will travel with you through thick and thin. Matt has spent a portion of his working life working in sustainability and sees the value and principle of making a product that doesn’t need to be replaced every six months. And through function comes form, the razor itself is a triumph of design. Though as stunning as the pictures here are it is best appreciated when one can hold it and feel its weight. I started by trying to establish where the knowledge of and enthusiasm for a good shave came from. As so often for those who set out to make it was born of frustration of a good alternative. Matt like myself is a man who does not struggle to grow a beard, those of us who are more likely to be afflicted by a lunchtime shadow rather than its 5 o’clock version. For those of you affected such as ourselves the years of hacking away at a few days growth with a standard cartridge razor will bring back memories of yanking hairs out of your face followed by irritable skin. The double edged razor sweeps away years of painful memories. There is a history to the double edge razor Matt explains, black and white footage of clean shaved men making impassioned speeches or silent movies of sophisticated men sipping cocktails, they would have all shaved using a double edge razor to achieve that fresh faced look. Matt pulls at the nostalgic heartstrings and touches the soft spot for a bit of heritage that we at The Holborn can’t unashamedly shake off. Fascinatingly though the history of the double edged razor itself has it’s routes in the world of planned obsolesce and cleverly exploitative capitalism. For a long time men had taken the risky option of ridding themselves of their facial hair by using a blade in the style of Sweeney Todd, an item which has no throw away element. Gillette then brought out the double edged razor which allowed them to sell replacement blades at a much inflated price. Gillette then perfected this model in later decades, especially when the patent ran out on the double edged, and then was born the proliferation of plastic five blade razors (what does that fifth blade actually do?). With your Thomas Clipper double edged razor you won’t need to buy expensive replacement blades, they aren’t a company that make their money off of replacement blades, like Hewlett Packard make their money from Ink rather than printers. By using a classic design model any double edged safety razor blade will fit, which literally cost pennies. There is a nice irony and poetic justice in Thomas Clipper setting their stall out with principles like this considering the story of the double edged’s birth. Though to make the argument for the razor on economic grounds and by selling the principles of the company would be to do the product a disservice. There is a beauty and majesty to the razor and shaving with it is a joy. Matt heralds the ritual of shaving and how taking time over it and doing it carefully can be the best way to start the day. Apparently a good shave should take the same time as one of Beethoven’s movements. Thomas Clipper is a crowdfunded company, they ran a successful Kickstarter campaign at the end of last year. Like ourselves through Kickstarting our print magazine and building a presence online we spoke at length about how the internet has enabled a generation of young companies to reach an audience. Though Matt explains is that there is a serendipitous analogue aspect to the genisis story of Thomas Clipper. After trying out various models and developing the product at home but still in need of partner to help with production Matt went for a run, under five minutes from his house he ran past a workshop he had never noticed before which had ‘machine working’ written on the window. After enquiring what that meant, a partnership was born and the craftsman Nigel, five minutes from Matt’s house now makes all the beautifully made Thomas Clipper razors.